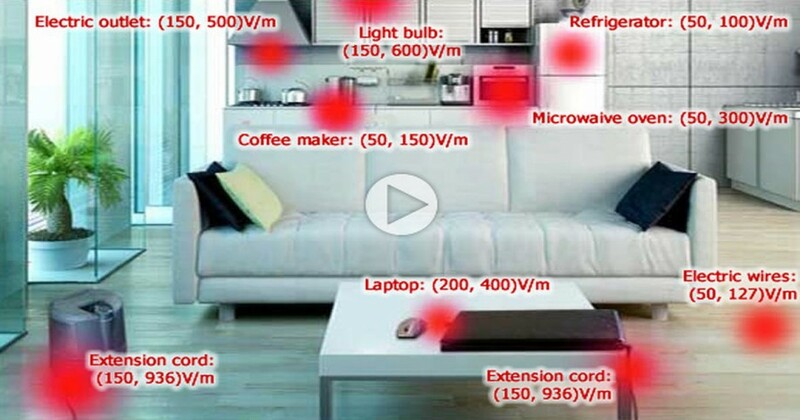 All electrical appliances and wiring in your home emit EMFs: Electrical Magnetic Fields. Electromagnetic Radiation is a form of energy that can cause changes in the space surrounding electronic devices. The invisible fields impacts your cells and can cause debilitating health effects. In modern homes, this kind of radiation is ever-present (1). These fields are linked to cancer, reproductive malfunction, cataracts and changes in behavior in children (2). This is because all types of EMFs react with your DNA (3). They found that chronic exposure to even low-level radiation can cause a variety of cancers, impair immunity, and contribute to Alzheimer’s disease and dementia, heart disease, and many other ailments (4). The number of studies published on the subject have now reached 8,000. In fact, the World Health organization has even classified radio frequency radiation as “possibly carcinogenic” to humans and the IARC has classified radiofrequency electromagnetic fields as the same. As it stands, multiple studies link these kind of radiation to increased instances of childhood leukemia and brain tumors. The younger you are when you’re exposed to EMFs, the more likely you are to develop these health conditions (5). And while many countries have yet to instill protective measures to keep their citizens safe, nearly all developed nations have documented the phenomena. In 2001, Sweden even recognized Electromagnetic Hypersentistivity (EHS) as a functional impairment. 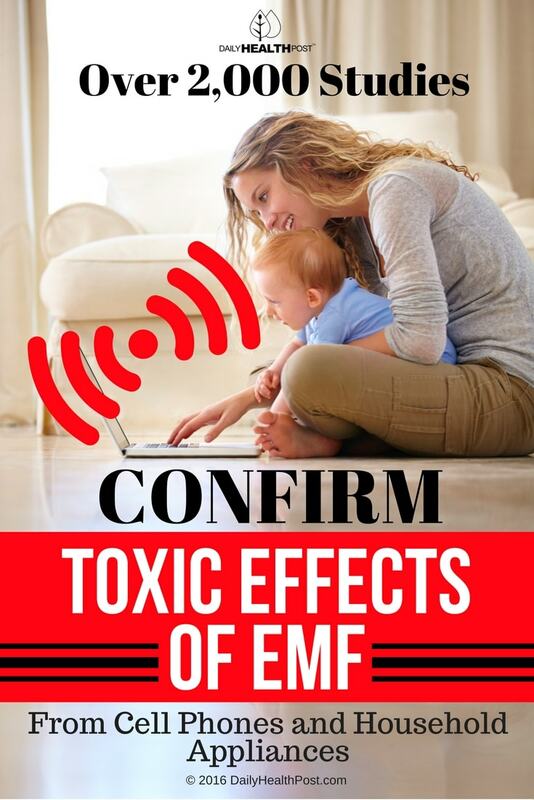 The country estimated that over 3% of the population experiences severe symptoms related to EMF exposure. In other developed nations, this number fluctuates between 3-8%. And that’s not all, another 35-50% of the population experiences these symptoms moderately. The World Health Organization now recognizes the condition as a growing world health concern (6). Now days, many schools are equipped with computers, tablets and smart boards meant to facilitate learning. Unfortunately, these new technologies used in schools are increasing EMF exposure for students and personnel. In one California school, these technologies began taking a toll of the health of its teachers. In 1990, sixth-grade teacher named Gayle Cohen found that the onset of technology in her classroom left her and her colleges feeling weak and dizzy (7). For months she struggled to understand the connection between her fatigue and the environment in her classroom. However, just a few years after the arrival of the computers, one of her fellow teachers developed cancer and died. It wasn’t long before another colleague was diagnosed with throat cancer. As the years went by, more faculty members and students developed strange diseases. Eventually, Cohen was diagnosed with breast cancer. In just 15 years, 16 staff members among the 137 who’d worked at the new school had been diagnosed with 18 cancers. This ratio was 3 times higher than average. Additionally, a dozen cancers had been detected in former students. Some had even died from the disease. When EMF levels were examined by Sam Milham, MD, an epidemiologist, he found that the the surges of transient pollution exceeded his meter’s ability to gauge them. this led to a complaint filed to the Occupational Safety and Health Administration, which in turn lead to a full investigation by the California Department of Health Care Services. The result was shocking: exposure to the fields in Cohen’s school increased the likelihood a teacher would develop cancer by 64%. In just the first year of working with computers in her classroom, Cohen had increased her risk of cancer by 21%. That’s not all, the faculty member’s risks of developing melanoma, thyroid cancer, and uterine cancer were up to 13 times higher than the national average. There are a lot of things ways you can protect yourself and your family without having to giv eup modern comforts. Don’t buy a microwave, simply reheat your food in the oven or on the stove. Limit cell phone use, especially in low reception areas. Don’t carry your phone on your body, store it in a case or in your bag. Keep cell phones, tablets and other electrical devices away from children under 12 yrs. Keep the electronics out of the bedroom, it’ll help you sleep better too! Turn Off Your Wi-Fi at night. Stay far away from Wi-Fi towers. Get rid of your digital alarm clock in favor of a battery powered one. Avoid electric blankets, use hot water bottles instead! Remove Smart Meters, which are quite controversial and harmful. Swap your ereader for a paperback. Unplug and spend time outdoors.